Very Heavy scent. 4 to 6 Feet. July flowering. 'L. regale' is perfect in the herbaceous border planted among delphiniums and other July flowering perennials. Introduced to England from China in 1903, our seed grown stock comes from select parents showing greatest flower size and vigor. 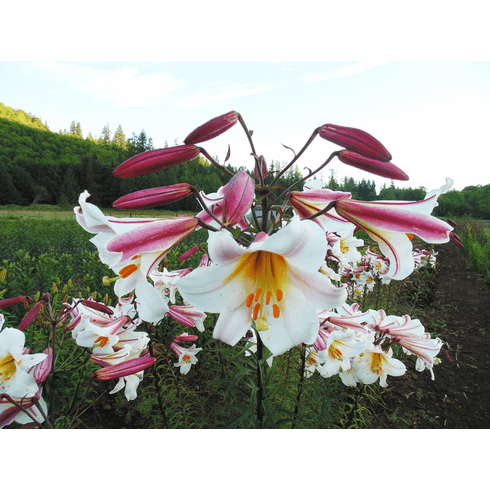 Grows an average of 5 feet tall, but can be much taller if left undisturbed for a few years, and given regular weeding, watering and fertilizing. 3 to 6 Feet. Highly Fragrant. July.